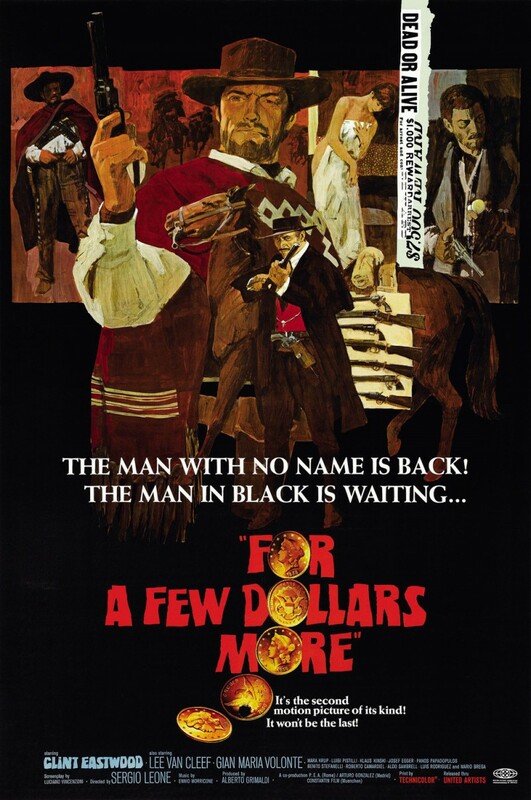 This is a classic for sure, Leone shows his immense talent by adding onto the world he created with A Fistful of Dollars. Eastwood plays a bounty hunter who targets homicidal bandit, Indio (played by the brilliant Gian Maria Volante) and finds that he has some competition from another bounty killer, Col Douglas Mortimer (played by the master of the look, Lee Van Cleef). The violence is quick, shocking and effective, all mood and mise en scene creatively realized. The music by the maestro, Ennio Morricone is just as important; massively influential, it helps create the ambience of the world, all danger and tension. Support comes in the shape of the famously erratic actor, Klaus Kinski, who commits to his role of the hunchback in a way supporting actors rarely get the chance to (or don’t dare to) nowadays, you could see he was a talent who stands out as a member of Indio’s gang and gets some classic scenes involving the lighting of a match. There is a scene early on where Eastwood is seeking some information from an old man in bed and it’s clear he is enjoying the performance of this quirky actor, Eastwood smiling throughout the scene which is a pleasant break from the usual cool, show no emotion acting he gives in the rest of the film. It’s a funny scene made brilliant by the Old Prophet, who is played by Austrian character actor, Josef Eggers. He also appeared in A Fistful of Dollars as the undertaker, Piripero-“My mistake. Four coffins…” This was his last film before he passed away a year later. A fine swansong. Van Cleef is made for his role; he is just as influential as Eastwood when it comes to the style of acting needed for this kind of film. It’s all in the eyes and he has killer ones. Leone paints the screen with beautiful shots that immerse you into this wild west world. The title “The Man with No Name trilogy” is not quite accurate; he is called ‘Joe’ in A Fistful of Dollars, ‘Manco’ in this one and ‘Blondie’ in The Good The Bad and the Ugly. 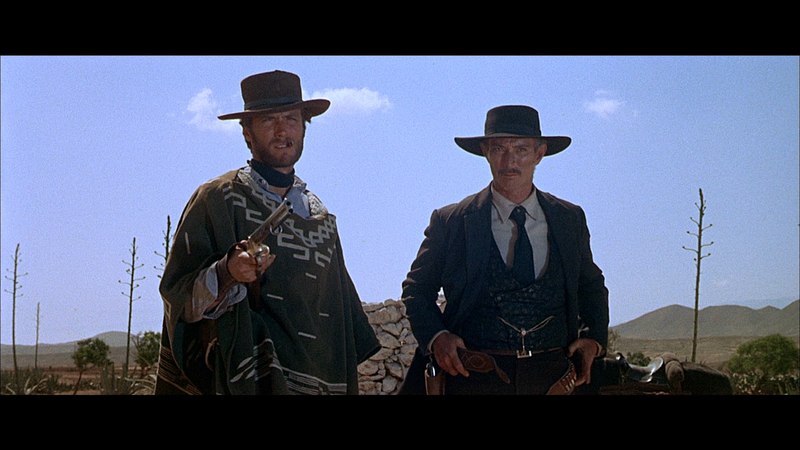 Manco means ‘one-armed’ in Spanish and here Eastwood does everything with his left hand bar shooting. Much has been said of the influences of these films, the looks, the silences, the music, the shots and cinematography, the tension and I could go on. All are a joy to behold. For a slice of classic western, this is one to see.